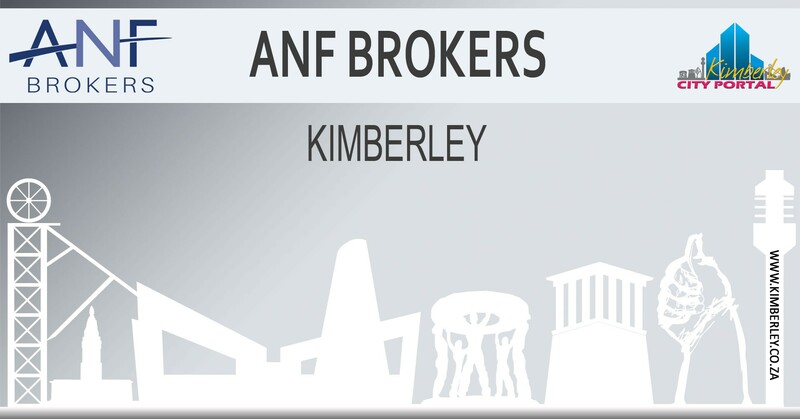 ANF Brokers in Kimberley has always been known for our reliability, our loyalty – but also the fact that we sincerely go out of our way to find the best solutions for you. Not only that, but we’re there, throughout your life, whenever you need us, with advice and genuine help. We also take great care to provide all our advice to you in writing. We believe that advice given in writing helps to minimize poor advice and empowers each and every client to know exactly what they have signed for and why. We partner with the best of the best! Disability insurance offers you peace of mind that, if you become disabled and can no longer earn an income, you will receive a lump sum amount to help you cover debts, make the necessary lifestyle adjustments for your situation and help take care of your loved ones. Terminally ill patients, or those simply in need of a restful place to recuperate, can use the funds to take a vacation with friends or family. Income protection ensures that if you are unable to work for a certain period of time (or permanently), you will receive a monthly income from the insuring company. This covers various scenarios from becoming disabled temporarily in a car accident, to permanent disability and even being hospitalised or booked off from work for extended periods of time due to illness. Life cover ensures that, if you die, your loved ones will have the necessary funds to pay off any debts and continue to live comfortably while they adjust to their new circumstances. You can get lump sum life cover or even ensure that a loved one receives an income for a period of time after you have passed away so that, in your absence, they can still meet their needs on a daily, weekly and monthly basis. It is important to remember that starting to save earlier in your life increases your chance of accumulating significant wealth due to the long-term effect of compound interest. Simply putting your money into a savings account, however, won’t benefit you very much at all. The magic of compound interest is eroded by inflation in typical savings accounts, but can be optimised when using any of a variety of different investment vehicles that are available on the market today. With competitive interest rates and cost structures, you will be able to accumulate your wealth in a steady and secure manner. Retirement is one of the most important and monumental life events that many of us will experience. Ensuring that you will have a comfortable retirement is an extensive process that requires sensible planning and years of persistence, even after you retire! Just thinking about all the complexities and time required in building a successful retirement plan may be daunting for most – and quite understandably so! This is why you need an independent financial advisor; we do the homework for you, take your goals into consideration along with your budget and offer you a strategy that only requires your long-term commitment to saving in order to ensure your comfort in your golden years. The reality is that all of us will die and that we have no idea when that might happen. Having a well-planned will in place will help to ensure that your family is provided for and that all assets and financial implications are taken care of in a timely manner. Your will dictates how your estate is divided amongst beneficiaries, appoints an executor of your estate and can even be used to found a trust for under-aged beneficiaries. It is important to remember that you can appoint nearly anyone as executor of your estate – your broker, a bank, a lawyer, friend or family member – as long as they are not a beneficiary on your will. Estate planning and analysis is a complicated matter, which is why you should ask your independent financial advisor for advice and assistance in ensuring that it is done correctly. Estate analysis and planning is the core of quality financial advice. Short-Term insurance policies allow you to protect your valuables against an unexpected loss that you may not be able to afford. Short-term insurance allows you to tell your insurance company what you want to protect and at what value. The insurance company will then calculate how much it will cost for them to bear the burden of the risk of something going wrong. No one plans to get sick or involved in an accident, but the possibility of that happening is an unfortunate reality that simply cannot be ignored. Medical aid protects you and your family financially in the event of an unexpected serious illness or injury. People with medical aid are also more likely to receive routine and preventative care, helping to ensure their long-term health and wellness. We don’t just tell you about rewards programs like Multiply & Vitality, we’ve gone one step further and partnered with CrossFit Bazinga to give you even more exclusive rewards ranging from 20% discounts to lucky draws . Ts&Cs apply, of course – click here to read more about this unique partnership. Why should you pick ANF Brokers? We strive to have a personal relationship with each of our clients and to provide fast, efficient service to all clients – no matter how big or small your policy may be. Our door is always open for drop-ins and we’re always happy to answer your questions, regardless of how silly you may think they are! We are here to empower YOU through helping you ensure your future is protected. Fanie van Wyk founded ANF Brokers on the realisation that financial planning is about so much more than just having cover in place. At ANF Brokers we strive to ensure that every client receives a bespoke service and that cover is kept relevant through this ever-changing world we live in. We’re constantly working on incorporating more ways that we can add value to your life – our best recommendation is to subscribe to our newsletter or like our Facebook page so that you’ll be first to know when we have exciting news!